The tactical GPUs from MSE Engineering, originally designed and built to meet the high demands of the Swedish armed forces, provides its users with a small, lightweight and easy-to-use system. Tested for use in the harshest of environments, the lightweight GPUs can be deployed virtually anywhere, within seconds. Built of high quality components, the GPUs are extremely reliable. 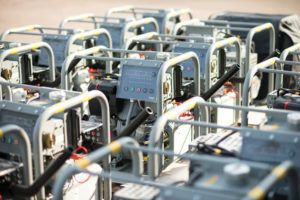 The power quality provided by the lightweight GPU is tested and measured to fulfil military standards, safeguarding sensitive electronics in the vehicles. 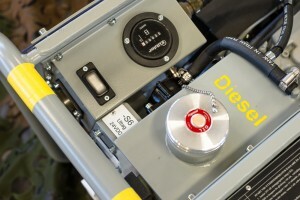 It runs on heavy fuel and a diesel heater can be simultaneously powered with the helicopter or other vehicle. Via the control panel, the operator is provided with a straightforward and easy understandable overview of the status of the GPU. Being as robust and user friendly as the entire GPU, the control panel is designed to be easy to operate in extreme environmental conditions, e.g. in cold and muddy/dirty climate where gloves are needed. MSE delivers a turn-key GPU system, including the GPU itself, accessories, transport cover, training, spare parts, manuals, spare parts catalogue and maintenance schedules. If required, MSE also provides additional life cycle services, such as helpdesk, training, upgrades, obsolescence managements and preventive and corrective maintenance. 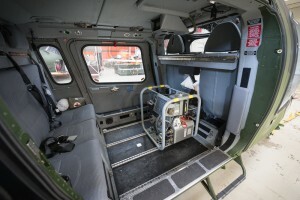 • For land and sea based helicopters.